Stress is inevitable to all of us. In fact, we need a certain amount of stress just to level up our optimal alertness, behavioral and cognitive performance. According to Dr. Hans Selye in his book, Stress without Distress, there are two types of Stress: The Distress and Eustress. Distress is the physical, mental, or emotional strain or tension or in short, the “Negative Stress”. While Eustress is the “Positive Stress” or the moderate or normal psychological stress interpreted as being beneficial for the experiencer. However, the problem is that society has too much stress excess. Our bodies know how to heal themselves through the neurochemicals we have. Our bodies know how to fix broken proteins, eliminate cancer cells, fight infection, retard aging and many more! But the tricky part is – those natural self-repair mechanisms don’t work if you’re stressed! No wonder why most of us, especially athletes got sick or injured. Cortisol, also called as “stress hormone”, is a life sustaining adrenal hormone essential to the maintenance of homeostasis. It is produced by the adrenal gland and controlled by the hypothalamus, which is a major controller of metabolism located in the brain. When the hypothalamus produces corticotrophin-releasing hormone (CRH), it stimulates the pituitary gland to release adrenal corticotrophic hormone (ACTH). These hormones, in turn alert the adrenal glands to produce corticosteroid hormones. The cortisol’s main job is to upsurge the glucose concentration in the blood to make more energy readily available to the muscles. Reduce cortisol is ideal for an athlete to achieve tissue growth and positive adaptations to exercise training. However, excess cortisol can affect physical or mental stress that causes fat, protein and carbohydrates to be rapidly mobilized in order for the body to take action against the stressor. Excess Cortisol can cause a constant muscle breakdown and suppressed immune function, increasing the risk of injury while reducing muscle. As stress occurs, cortisol is released to make energy available. When stress ceases, cortisol release goes down, and the body goes back to its normal homeostatic state. But when stress is prolonged, cortisol level also increases that causes long term negative health effects. Cortisol levels are supposed to drop at nighttime, while you are at rest, allowing your body to relax and recharge. It is during the rest period after exercise that endorphins and growth hormone are released. Endorphins and growth hormones flush cortisol out of your body. But if your cortisol levels are too high, you will notice that even you are tired all day, you still can’t sleep at night then feel tired again the next day. Cortisol tends to make you thick around the middle. You’ll notice that even if you’re eating well and exercise extensively, you’re still gaining weight. You will also notice the enlargement of your stomach. Cortisol deactivates your body’s natural self-repair mechanisms. Your immune system weakens that leaves you vulnerable to every problems your body might encounter. Cortisol raises your blood sugar, putting you at risk of diabetes. As high glucose levels reaches your insulin levels, your blood sugar will then drop that causes you to crave for more sugar and you loss appetite for healthy foods. Cortisol can decrease your testosterone due to high level of cortisol or stress hormones. Cortisol and epinephrine can lead to agitations, nervous stomach, panicky feelings and paranoia. Cortisol can affect sports athlete performance because of stress. It affects your mood and will decrease your motivation and enthusiasm. As stated beforehand, excess cortisol is harmful for athletes as it will lead into injuries and even health breakdown. While exercise results to endorphin release and can relieve stress, extended workouts stress the body and will increase cortisol levels. Extended workouts can lead to overtraining syndrome, a neuroendocrine disorder. Fatigue is the most common result of overtraining, accompanied by depression, irritability or loss of enthusiasm for training and exercise. One way to flush cortisol is adequate rest. It allows your body to respond to cortisol levels and stress in positive ways. During rest, cardiovascular and muscular systems pay off and decrease stress levels. Human growth hormone rises during rest and expels cortisols from the body. Without rest and recovery, regeneration and growth won’t occur, leading to overtraining. Although intense or extended workouts can put excessive stress on the body and raise cortisol levels, it’s important to note that low intensity exercise actually reduces cortisol. Athlete needs to train and rest in a balanced way. Below is a graph in which the level of stress and relaxation is stated. And something in between is what an athlete need. Familiar? Yes, Flow. This is the reason why training in Flow is important for athletes. The steady progressive balance between stress and relaxation, not being too stressed out and not being too relaxed. This is the secret of the elite athletes. In addition, the brain chemicals that can reduce anxiety and depression are serotonin and dopamine. 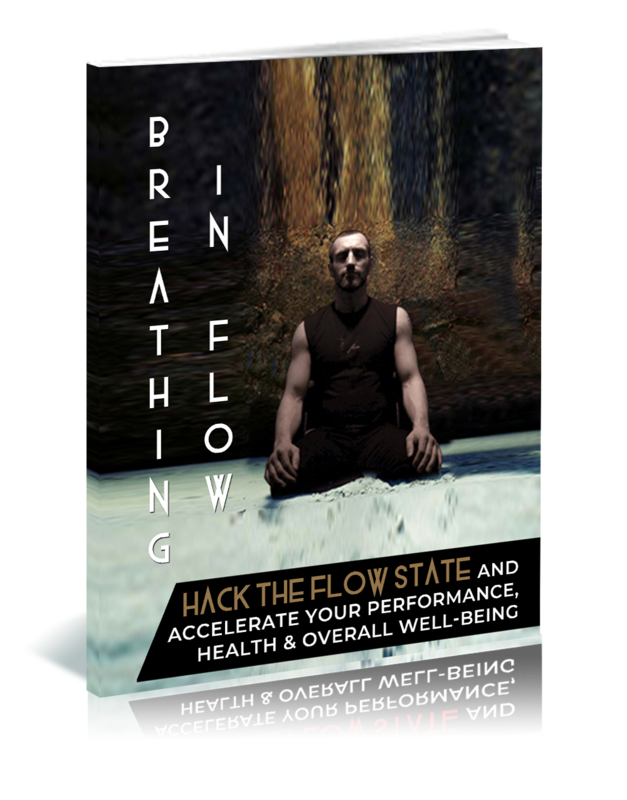 Dopamine and serotonin are two of the neurochemicals that are released during flow state. Stress is common for all of us and we don’t need to worry about a little bit of stress because we have self-repair mechanisms that are ready to fight harm inside our body. But prolonged stress is a different story as it will increase our cortisol level. Athletes gain excess cortisol due to overtraining. Excess cortisol can cause us injuries and worst, health breakdown so we must make a move to prevent it. While a certain athlete is in the flow state, he is in the middle of the relaxation level and stress level. So there's no way for his cortisol level to increase. This is how Injury Prevention with Flow works for every sports athletes.